Nokia remains a very reliable brand when it comes to software updates, since HMD Global's Chief Product Office, Juho Sarvikas, has just confirmed that the Nokia 7 Plus will get the Android 9.0 Pie stable update in September. Most of the other Nokia handsets will get the update before the end of the year as well. The Nokia 7 Plus received an Android 9.0 Pie beta build earlier this month, and the first stable build is apparently the next one in line. If everything goes as planned, this handset will become the first Qualcomm Snapdragon 660-powered handset to get Android 9.0. According to Android Central, the Chief Product Officer of HMD Global, Juho Sarvikas, has recently revealed that the Nokia 7 Plus is set to receive the stable Android 9.0 Pie update in September. This information came out at a media event that took place in New Delhi, so there is a very small chance for a delay to occur. The best part is that most Nokia handsets should get Android 9.0 in the coming months as well. 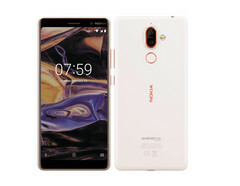 This makes Nokia a very attractive brand for those who like to keep their phones up to date and also avoid buying expensive flagships at the same time. When it comes to mid-rangers, it is enough to say that many such Samsung devices will get Android Oreo in early 2019. Obviously, those who are looking for other brands that deliver quick updates can give Xiaomi or Huawei a chance, not to mention underdogs like Vivo.